Good Morning! Happy Thursday. I am happy that this week is going by a little quickly. My plan is to be in training for the most of the day today. It's self paced training and I've yet to do any of it since I got my promotion. So here's the box, the cut file is by Lori Whitlock. The image I am featuring is Little Dumpling. 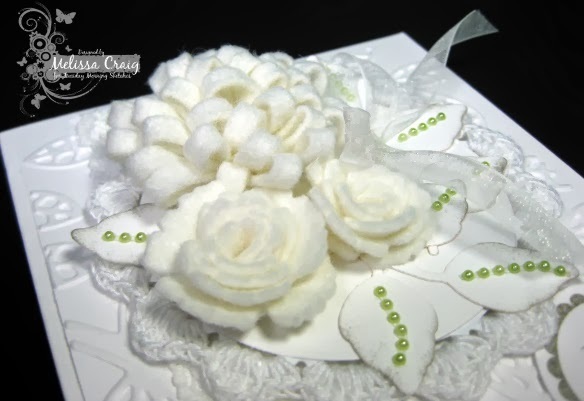 Now, of course, the intention behind the box is a gift box. But I like the idea of leaving little love notes to baby that can be shared later in his/her life. 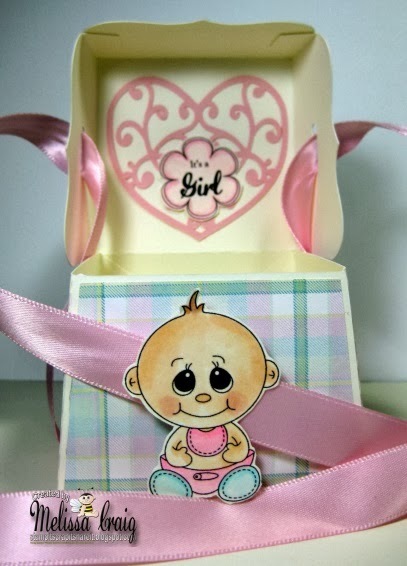 Inside is Baby Sentiments It's A Girl - which OK, this could be a favor for a baby shower. I still like my idea of love notes. Oh and I am having a love affair... in case you can't tell. It is with my Silhouette. I have to use it on every occasion. Thanks for stopping by. Have a super fantastic day. Good Morning! Happy Tuesday. Our revisited sketch is up and we're ready to have you join us at Tuesday Morning Sketches. We have a favorite sponsor of mine, Sweet n Sassy Stamps joining us, too. Jenee picked our sketch this week, I am so glad she picked this one, too. It's one of my favorites. 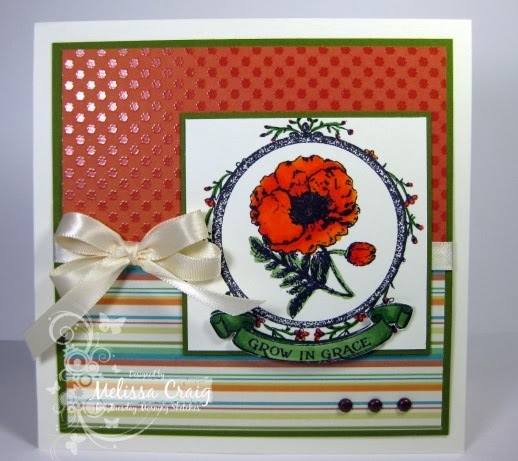 I used the Vintage Seed Packet stamp set. It is no longer available, but it's lovely, so I had to share it. I am really happy with how my card turned out. I love poppies and this image went perfectly with the paper I chose. This was relatively easy to put together, I let the paper bring all the texture and really, the only great amount of coloring is the large poppy. I do hope you head on over to join us at TMS. Have a great Tuesday. Hi! It's Sunday evening, it's been a pretty good day. I made a delicious roast, baked potatoes and home-made dinner rolls for dinner. I rested, I relaxed and I made a card. No, really. I love her designs, particularly the Swiss Pixies and the Sugarplums collections. I have several stamp sets and digi stamps in my collection and sometimes, I have to admit, they do get neglected. I wish I had time everyday to play with all of my stamping toys so that none go neglected. So I've been working on this DT application since I got the email from CC Designs that they were looking to fill a few spots. I'm pretty happy with how this one turned out. I had trouble photographing. Still learning how to shoot longer cards. I created this card using the card cut file from G is for Gratitude by SVG Attic. The flowers came (on the card) came from the same cut file. The frame is by Samantha Walker, her files are available in the Silhouette Online Store. Well, I'm off to make sure the kitchen was cleaned up and the laundry is finished. Oh! Speaking of laundry - I made my own home-made laundry soap, too. WOW!! What a difference. My clothes are clean, they smell great, particularly the towels. OK - enjoy your Sunday night. Christine - thank you for the consideration. Hello everyone! I hope you all are enjoying a wonderful weekend. I'm off today to help rhinestone the last of the costumes. The Dazzlers head to Nationals next weekend. I'm so excited for Hollyanne. She's guaranteed a spot of the JV High Kick routine. Anyway, so it's Scrapbook Saturday so I have the 2nd page to my 2-page layout to share with you. I love that MyMemories Suite version 5 gives you this option. 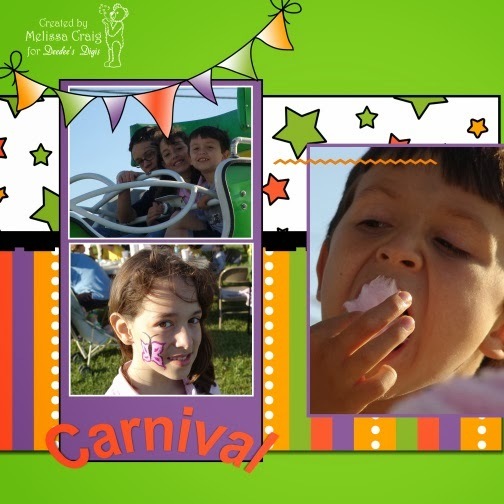 You'll also get to see more of this sweet collection Carnival Kids by Deedee's Digis. 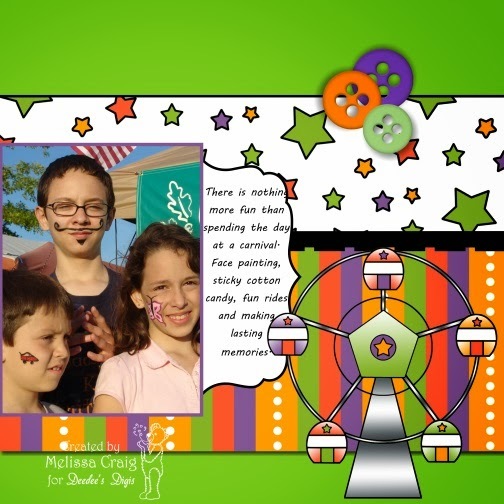 The papers and the fun images like this ferris wheel couldn't have made creating these pages more easy. The bright colors are so cheery and really help capture the great time we had. 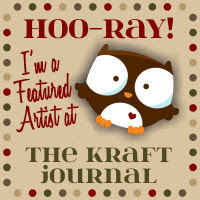 I hope you enjoyed these pages and it inspires you to start scrapbooking again. 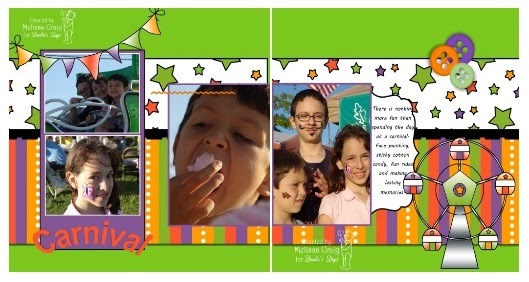 Digital scrapbooking is so easy and Deedee's Digis offers added variety. Thanks for stopping by. Hello everyone! Hope your week is going well. We're still experiencing cold temperatures here in FL. During the day it's not so bad, but these overnight lows in the 30's I have had quite enough of! Well, if you know me, you all know how much I dislike Valentine's Day. So my project is baby love. All babies have a way of stealing one's heart. 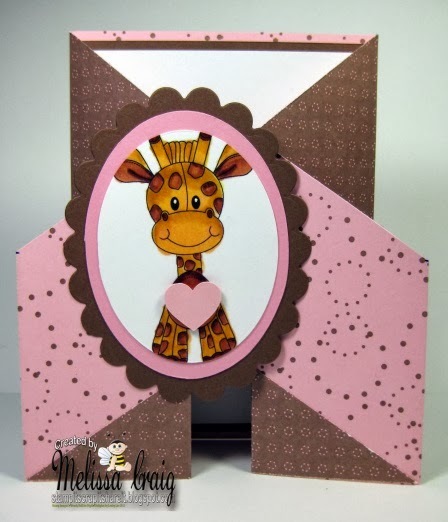 My card features Jubbly Giraffe (my fave in that collection). So I found this really cool fold on a You Tube video and for the life of me I can't find it again. I even went to my history and couldn't come up with it. 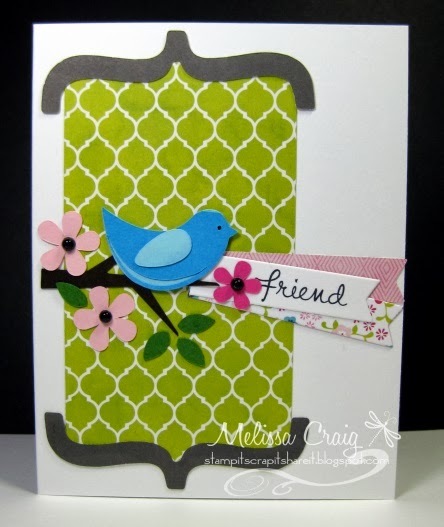 I know this fold didn't belong to the person who created the video, she said it was a class (I believe) at Stampin' Up! Regionals. Anyway, super easy fold, way fun card to create. I'll have to do this style card again, this one seems so plain to me. I'm going to have to figure out how to step this one up a notch or two. We'll see you over at the Delightful Challenge blog. Happy stamping! Good Morning! Thanks for stopping by today. This week's sketch revisited is up and Debbie picked a good one. We're sponsored this week by our friends at Doodle Pantry. I'm pretending to be a professional sketch artist! LOL I messed up the sentiment that I printed from this set, so I just turned it over and stamped a new one. This one is from a stamp set by Paper Pretties. The overlay panel is from a cut file I got from the Silhouette Online store. Thank you so much for stopping by and we'll see you over at the TMS blog. Have a great day! Good Morning! Another quick post this morning. I didn't set up my blog post last night because I was freezing. Outside it was 59* but it felt like 40* in my room. I just wanted to be snuggled under my covers. Now you all might be thinking to yourself that those temps sound downright pleasant. I live in Florida and I'm losing my tough winter skin! Ha! I don't have that either - I can be freezing in 80* weather. Anyway, so let me share today's Delightful Challenges challenge with you - it's pretty appropriate! 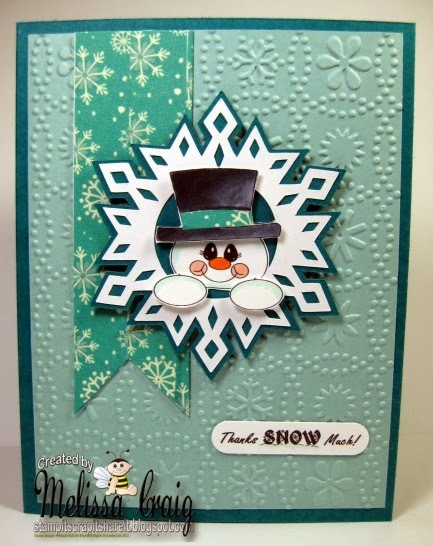 I made this thank you card featuring Snowie Set and a sentiment from Touch of Christmas. The snowflake is a cut file I got from the Silhouette Online store. The fishtail banner I created by covering a piece of card stock with washi tape. I did print Snowie twice so his hat and hands are popped up to create some dimension and yes, I did use the washi tape on his hat. Thank you so much for stopping by today. 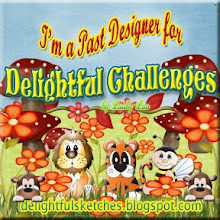 We'll see you over at the Delightful Challenges blog. So this little Valentine's Day ensemble is a gift with gift card. The cupcake box holds a special cupcake that goes straight to your feet, not your hips! 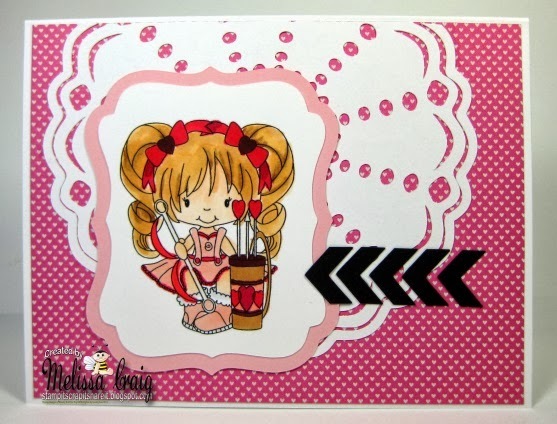 The gift card is a 3x3 gift card featuring stamps from Love You Beary Much and digi papers from From the Heart. The bracket element is the piece that was cut from the cupcake box that created the window. No waste. Here's the inside of the card revealing it's sweet message. 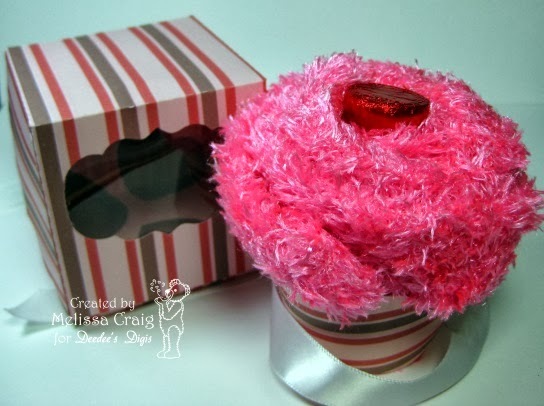 And here is the cupcake box cut from a cut file by Samantha Walker, a cupcake wrapper I'm not sure who created and a fuzzy socks cupcake. The "cherry" is an upside down Hershey's Kiss. This cupcake is a bit too big for the cupcake box, but the good thing is the icing won't stick to the sides when you smush it in there. Thank you so much for stopping by. And if you did you just happen to stop by to visit me, thank you and now head over to Deedee's Digis blog to see all the fun things the team created to share. Good Morning! Happy Tuesday. The sketch is up at Tuesday Morning Sketches and this week we're sponsored by our very own Jessi with her lovely crocheted mats. It's also time for the Judged Challenge so this week's twist is Tone on Tone or Monochromatic. I chose to do white on white. 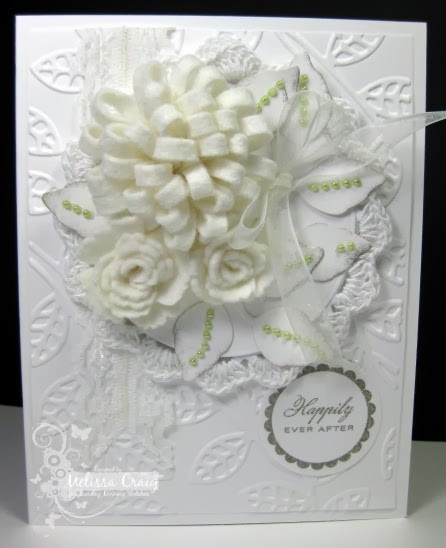 I will have you know, when I started this card, my intention was FAR from a wedding card. I don't know anyone getting married. But it sure ended up that way. I think it's very pretty. 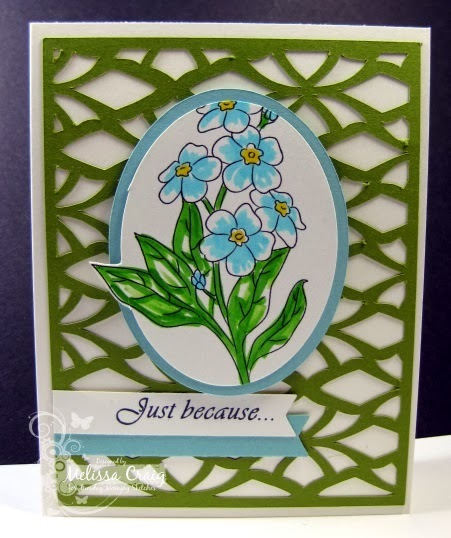 I pulled out my MFT flower dies and foliage dies by Spellbinders. It was a lot of fun putting it together. The sentiment is by Papertrey Ink. I love creating flowers with these dies and felt. They really do turn out stunning. I do hope you'll join us for this week's challenge. We'll see you there! I am a day late getting my page posted. It's been so busy with work and with the Dazzlers getting ready Nationals that it slipped my mind to get this post set up. So I'm pretty excited to share a bi-monthly feature on Deedee's Digis blog of digital scrapbooking ideas. I use My Memories Suite to build my pages - I am just so pleased with how it works with "outside" media as well as an amazing selection of digital scrapbooking kits available in their store. Quite some years ago, we had taken the kids to a local church carnival. These are a few of the pictures I'd taken. The base page is from the My Memories Suite color bank. The papers are from the Carnival Kids set as well as the banner. The title I created in MMS. I'm still learning word art - bear with me. 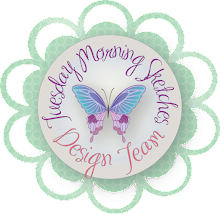 Deedee's Digis is partnering with our host site, Diane's Daydreams on Wednesday for a super lovey-dovey blog hop. Be sure to join us! Good Morning! We're back!! I have to post really super quick, I should be getting ready for work. I didn't get my blog post done last night because I ended up working until 10:20. She's such a doll. My card also features some fun elements that I cut on my Silhouette Portrait, these cut files are by Echo Park. OK - gotta run. Have a great day! Good Morning! And we're back! Happy 2014 and I'm pretty excited about what this year will bring. We are off to a running start at Tuesday Morning Sketches - the next 7 weeks are going to be a look back to 2013 sketches. Each of the DT members picked their favorite sketch to share, this week is Angela's pick. Our sponsor is my sweet friend, Deedee Anderson, owner of Deedee's Digis. 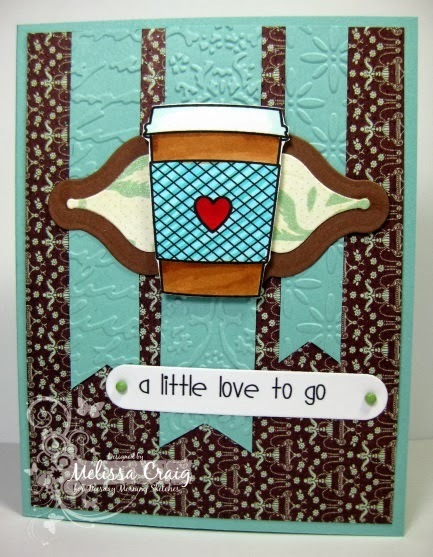 My card features an image and sentiment from the Whole Latte Love digi stamp set. This cup actually has a straw in it, but I removed that part. 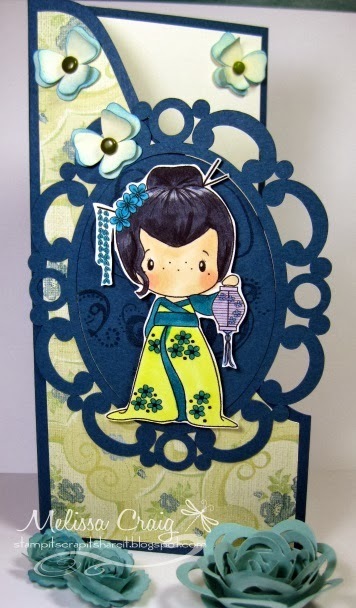 I colored it with Copics, used a great DCWV mat stack called Garden Party and used some favorite embossing folders. Please head on over to the TMS blog to play along and see what other wonderful creations the team made to share. Hello! This is my 2nd post today. I was playing around with some cut files on my Silhouette and felt this was a perfect way to remind everyone of our Anything Goes challenge on Tuesday Morning Sketches. I wanted to play along with Scrapping Everyday Miracles challenge, too. This month's theme is Friends Forever. What a lovely theme! I used the sketch that they are featuring which is from Page Maps (love that site!). 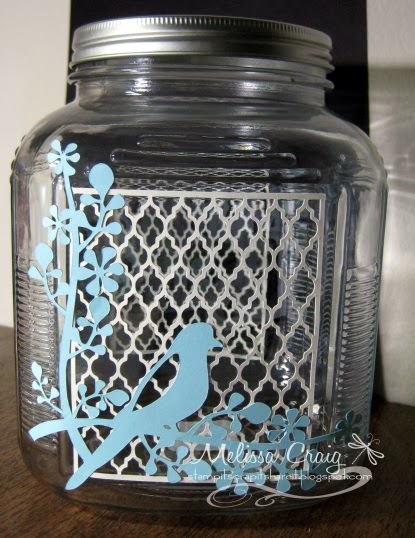 The cut file I got from the Silhouette Online Store and actually the bird is facing the other direction. I just flipped it around. The cut file, bird on twig, is by Miss Kate's Cuttables. 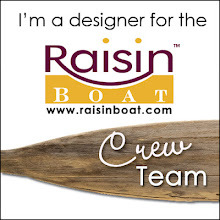 She's just announcing her new Design Team and oh how I wish I could be one of those lucky people! Anyway, back to the card. The paper is by one of my new favorites, Lori Whitlock. Cardstock is from Raisin Boat - best dang card stock EVER and the sentiment is from Raisin Boat as well. The flags I cut from my favorite, it is my go-to die set from MFT. Pearls are from Recollections that I colored black with a Copic marker. By the way, use a Sharpie. The Copic marker doesn't fully dry. I colored these pearls 3 weeks ago and they're still sticky. Anyway, I do love the card. I hope you do, too! Hello friends - Happy New Year! 2013 saw several changes for me. My position at work, my living situation, my children growing up just a little bit more and me just a little older. It would be OK if I could say I was bit wiser. My daughter came to me a few weeks ago and said we needed to do a memory jar. I looked at her like she grew a third eye. 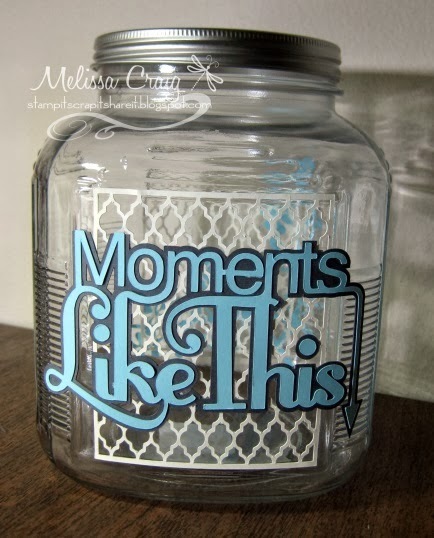 She patiently explained that this jar will hold handwritten notes about something great happened. Well, not every day does something great happen, but memories do. Good and bad. I really liked this idea. On this side, we have the name of the jar. 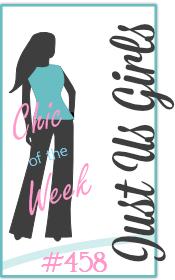 I love this title - I can see it going on scrapbook pages, too! I used a background overlay cut file, too. You want to clean the jar with rubbing alcohol and a cotton pad and then let it dry. I used Glossy Accents to adhere at to the jar and this seems to holding super well. I do apologize for the photos. My "desktop studio" was a bit small, so I tried to take the pictures with the jar on my table with the wall behind. It worked fine for the front of the jar, but not so well for the opposite side. Eh.... you get the idea. *snicker* I am telling you I am ready to decorate TONS of jars!! This is just with paper, folks, can you imagine how flippin' fun this would be if it were vinyl? I want to cut this bird as large as I can get it and put it on my wall. Along with some words of encouragement - yep, that would be a winner to me. I do hope that Hollyanne, her brothers and I stick to this jar all year. I think New Year's Eve next year will be filled with lots of great memories and laughs... probably a few tears, too. Happy New Year my friends. I hope 2014 sees you happy, healthy, loved and filled with inky hugs.